What’s going on right now in Venezuela? Come see for yourself by connecting with the grassroots movements at the heart of Venezuela’s Bolivarian Revolution. 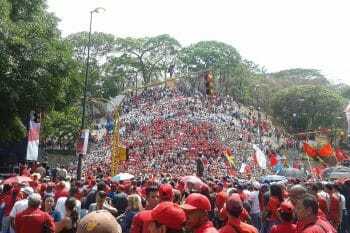 Come with us to celebrate workers’ day, MAY DAY, in Caracas, Venezuela, get to know the Venezuelan anti-imperialist working class and come join us in the great march of the workers with President Nicolas Maduro. The Alberto Lovera Bolivarian Circle of New York invites trade unionists, workers, journalists, analysts and other activists to know the movement of Venezuelan revolutionary workers during the celebrations of May First who sympathize with the Bolivarian Revolution to join a delegation to Caracas, Venezuela this coming May. Witness: the struggle of the Venezuelan people in the framework of one of the most critical time for the survival of the Bolivarian revolution and in the midst of an economic warfare and multiple economic sanctions imposed by Donald Trump’ administration. come and see for yourselves the reality of the country learn that there is no humanitarian crisis but an economic war led by the United States and its allies in the region. 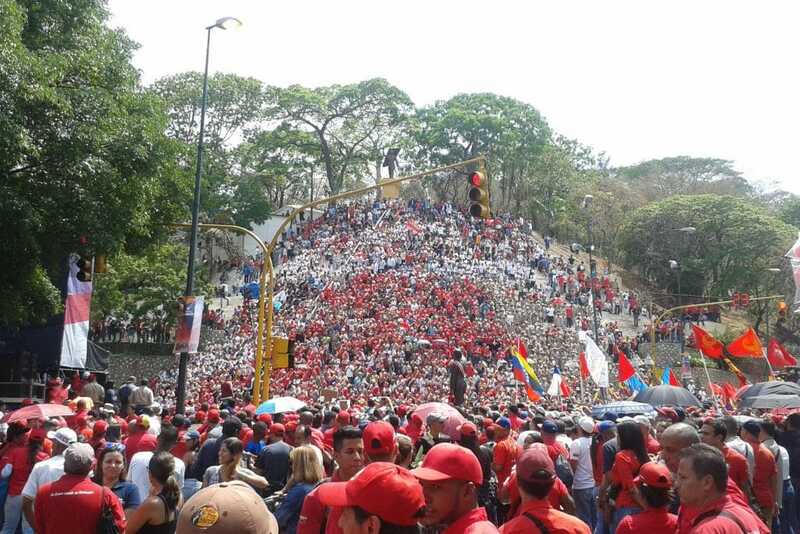 MAY DAY 2018 in Caracas, Venezuela. Image credit: Investig’Action / Ricardo Vaz. Come see by yourself communities organizing themselves in the face of manufactured food shortages to grow and distribute their own food participatory democracy in action through community councils, ‘comunas’ and other forms of citizen organization community-run art, media, education, union leaders, health and nutrition efforts alternative markets and fairs featuring homemade products and agroecologically produced foods parks, natural areas, historic sites, and other reclaimed public spaces. Tentative itinerary: Start and end in Caracas; visits to the states of Miranda and Aragua. For more information: cbalbertolovera [at] gmail.com. William Camacaro, originally from Venezuela, is co-founder of the Alberto Lovera Bolivarian Circle of New York and is an artist, radio host, and activist in New York City.